An American service member in Syria died on Thanksgiving from wounds suffered in a blast from an improvised explosive device, U.S. officials have said. It is the first confirmed U.S. military fatality inside Syria since the joint military operation began. The U.S. government only acknowledged the presence of American troops in the war-torn country a year ago. A statement released Thursday by the public affairs office of the U.S.-led Combined Joint Task Force-Operation Inherent Resolve said the explosion took place in the vicinity of Ayn Issa in northern Syria. No other information about the explosion or the victim was released. U.S. troops are part of the multination effort to fight ISIS in the region. President Obama said at the end of 2015, when he first acknowledged deploying about 50 American special operations forces to Syria, that they would help allied groups target ISIS leadership in and around the de-facto capital of the group’s self-declared Muslim state, Raqqa. The first video believed to show American forces working inside Syria surfaced in August -- worryingly, as part of an ISIS propaganda video. The video -- with English captions -- purported to show U.S.-backed Syrian rebels headed toward the ISIS stronghold of al-Bukamal, reports CBS News’ Charlie D’Agata. They’re then stopped short by a hail of gunfire and forced to retreat. 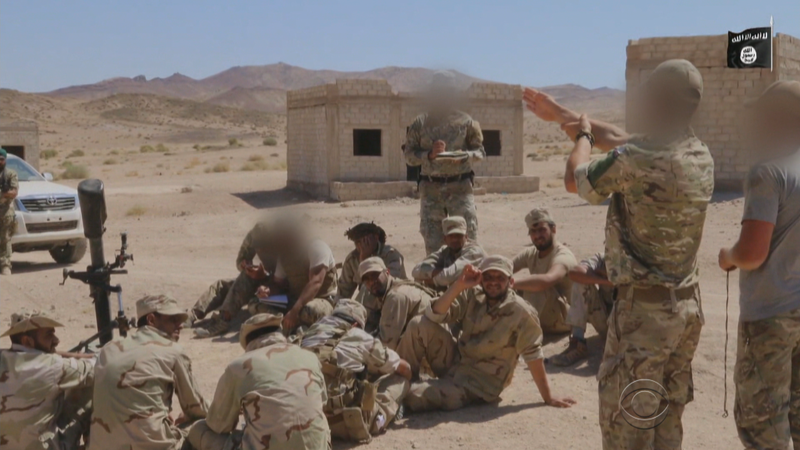 The 20 minute video also appeared to show American and British special forces with their New Syrian Army recruits at a training camp in Jordan.